In July 2017, Jodie Whittaker was cast as the thirteenth Doctor in the massively popular British sci-fi show, Doctor Who. Whittaker is the first woman in the 50-year history of the show to be cast as the titular character. This is not only a big move for the show but also a widespread trend that we are starting to see in entertainment. When Whittaker was cast as the Doctor, the Doctor Who franchise was met with praise from new and old fans alike. Despite this, many people came out in criticism of the choice for Whittaker to take on the role. This adverse reaction is unfortunately nothing new for women in entertainment. Oscar award-winning actress Brie Larson is the new face of Marvel’s next blockbuster, Captain Marvel. A Twitter user by the name @TFMonkeyYoutube posted pictures of Larson with scowls photoshopped into smiles. Larson responded to this sexist action by replicating the post on her own Instagram with pictures of her male counterparts instead. This kind of reaction from internet “trolls” has proliferated long enough. Women and people of color have been kept out of the mainstream for far too long, and they deserve to have their stories told. Big studios and franchises have started to see the need and are starting to step in. This movement is exemplified in Rey from the rebooted Star Wars franchise, Julianna Crane from Amazon Prime’s flagship show, Man in the High Castle, along with many others. In July 2016, Noma Dumezweni, an African-British woman took on the role of Hermione Granger in the play Harry Potter and the Cursed Child, which was played by white British actress, Emma Watson in the respective films. So, why does Whittaker even matter? In the 50 years that Doctor Who has been on the air, every incarnation of the Doctor has been played by a white British male. Not only is Whittaker creating a space for women to identify with, but the franchise is saying that whatever the show was before no longer exists. The executive producer of the show, Matt Streven, said in an interview with Entertainment Weekly that “She was just so compelling… In a way, it was a no-brainer. The fact that we were casting a female Doctor disappeared really quickly from our minds.” It’s refreshing to see casting thought of this in this light. For far too long, white straight males have taken the spotlight from women and people of color in casting. 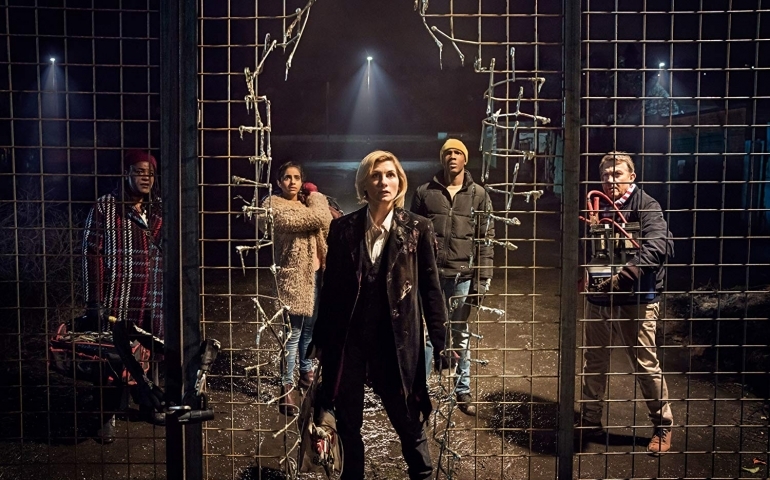 When I watched the premiere episode of the 11th season, starring Whittaker as the newest incarnation of the Doctor, I was thrilled to see her. Initially, I was nervous to see how her character would be portrayed, but by the end of the episode, she had fully brought me into her world. Seeing her in this role brought a fresh take on a show that I have been watching for years. She was the Doctor and there was no doubt about it. When casting like this comes around, we should espouse the inclusion of women in leading roles. For decades white males have had entertainment icons to look up to. Now, young girls can watch Whittaker as the Doctor and see a strong, smart and loving character to identify with. So the question is: why wouldn’t we promote inclusion in entertainment and media? It invites new stories, thoughts, and ideas for the masses. Just because underrepresented people are starting to get the spotlight does not mean that this will take away from white men. Entertainment should be a place where all people have the opportunity to be represented. In doing so, the industry sends the message to minorities that they matter and are valued.